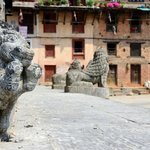 The Kathmandu Valley is a fertile expanse of land home to ancient cities and towns as well as some of the most beautiful countryside in Nepal. 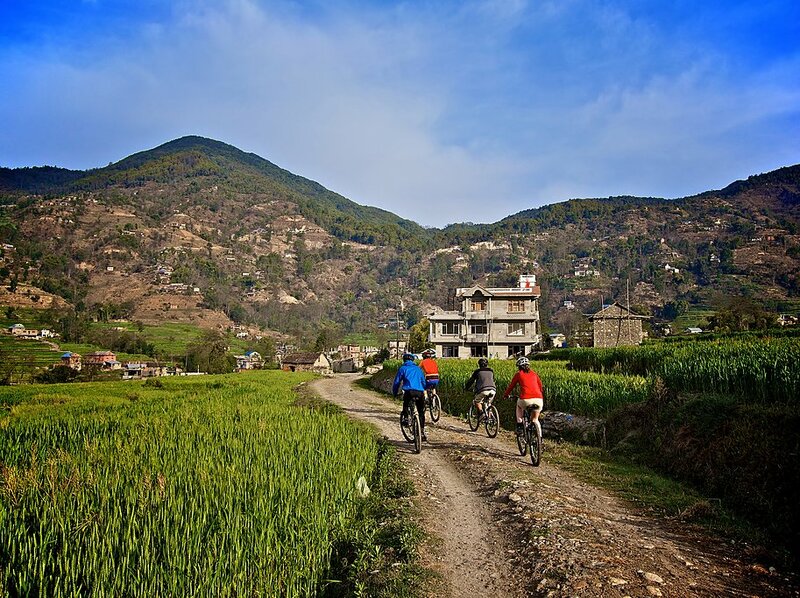 A bicycle tour of this region stops at three indigenous Newar towns: Bungamati, Kirtipur, and Khokana. Dating from the 16th century, these postcard-perfect villages are just south of Kathmandu and accessible via a rutted dirt road dotted with Buddhist shrines. First is Bungamati, which is home to master woodcarvers whose works feature in local homes and temples. 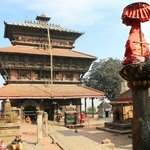 There's a Shikhara temple here (supposedly the winter home of the Red Machhendra god of Patan), and the courtyard is used for spreading grain to dry in the sun at harvest time. 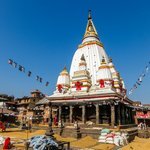 Khokana is another Newar village a short distance away from Bungamati that is home to the famous three-tiered Rudrayani temple. 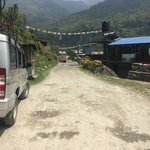 Like Bungamati, Khokana is a small village with a wide central street bisecting it. 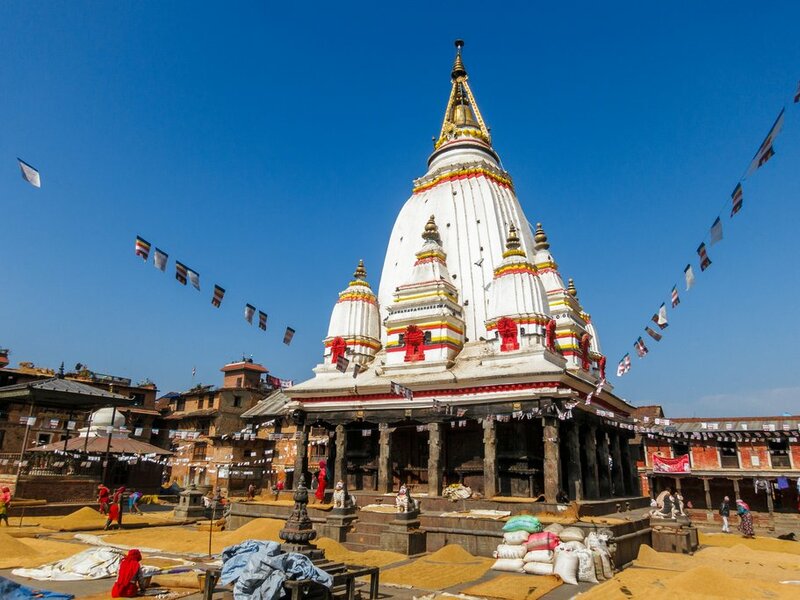 In the middle of the street is the temple of Sikali Mai, Khokana's guardian mother goddess. Khokana has long been famous as an oil-pressing center where mustard seeds are pressed using traditional methods. If you're lucky, you'll see traditional weaving being done by elderly ladies in the sun on the street and courtyards. The final stop on the ride is Kirtipur, an old village perched on a small hill. 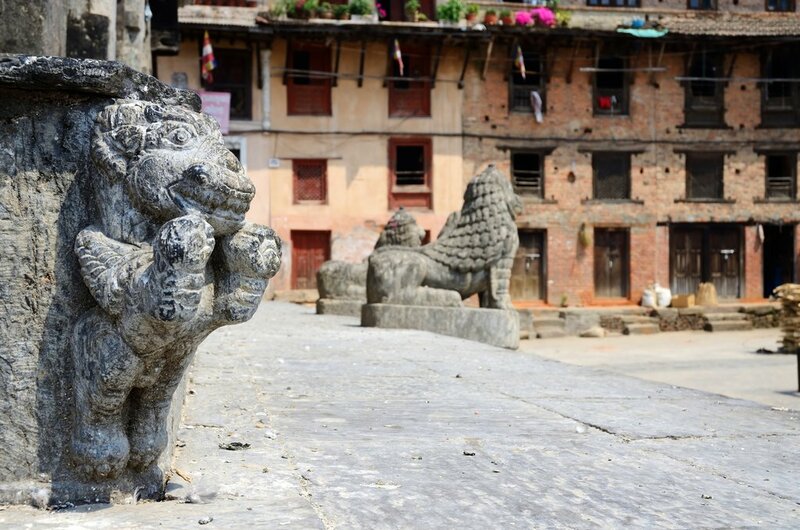 The village has many ancient monuments, including the famed temple of the tiger-faced Bhairva. In the past, the town was enclosed by 12 gates and parts of the old city wall still remain. 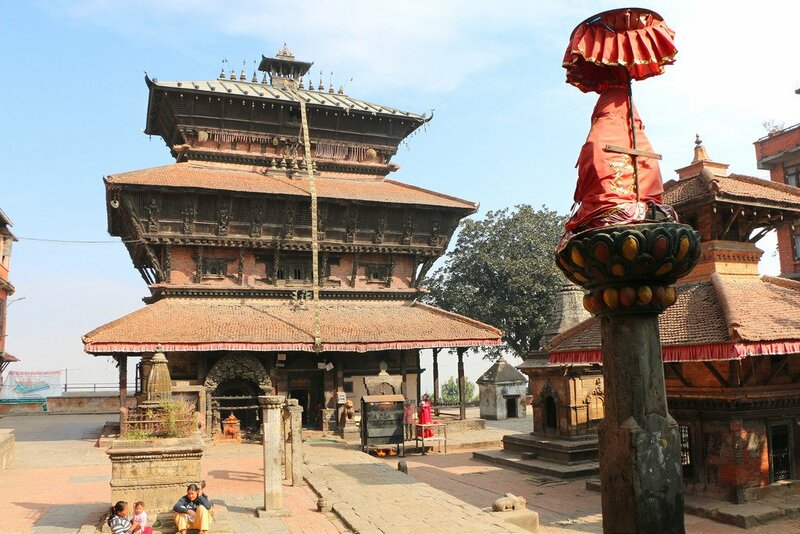 It was the first place raided by Prithvi Narayan Shah when conquering the Kathmandu Valley and the villagers' resistance was so fierce that a tower was erected in the Kathmandu Durbar Square in honor of their valor. Most residents of the town are either weavers or farmers, the same as their forebears dating back to antiquity.